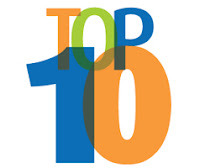 With the holidays quickly approaching and little time to make all those hard decisions, we decided to narrow down the over 1,000 globe styles and sizes we carry to the best of the best with our featured Top 10 List, making your holiday shopping much easier. We would like to thank the 1,000's of customers who have purchased and provided their feedback to help us provide you with the top selection this year. Quality reviews from awesome customers are what make the process easier! 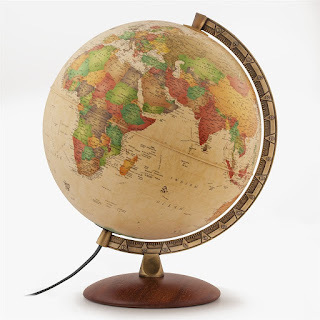 Visit the Ultimate Globes World Globe site today to see which globes made the cut and which ones didn't. One of the best gifts for children is the interactive globe. They are miniature replicas of the earth showing the different continents, countries, seas and other geographical features. 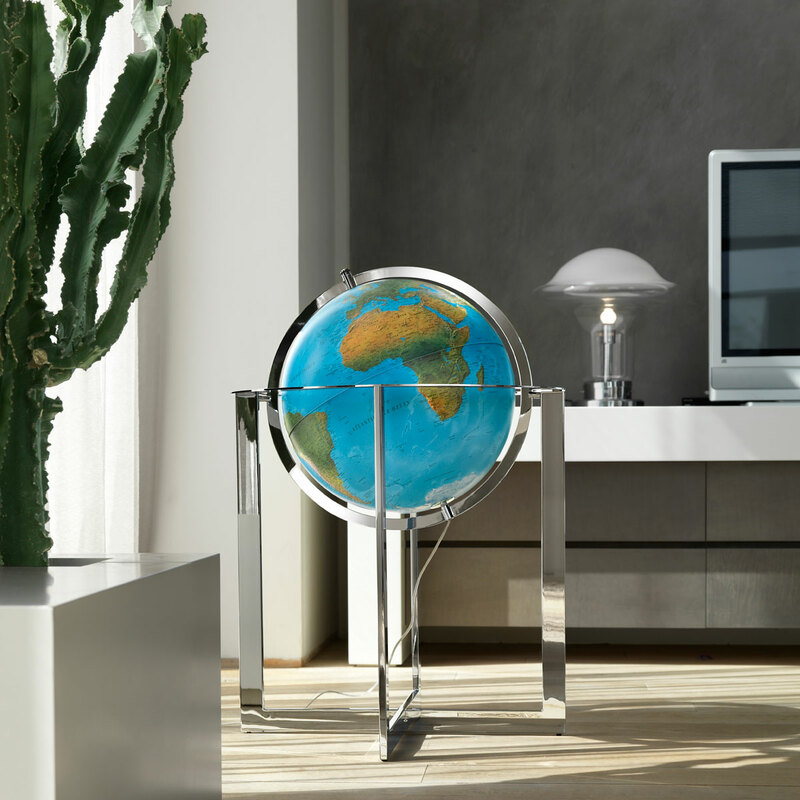 Globes present a two-dimension visual representation of the earth. On holidays children can spend hours learning about their world. 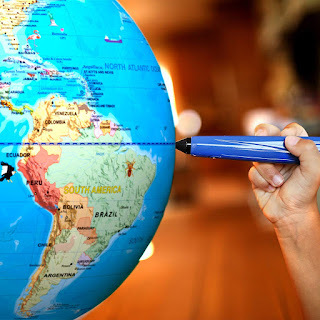 With the use of globes for kids, it is easier to understand the structure of the earth regarding the theoretical descriptions they have already been given in the classroom. Kid’s globes are perfect for reference purposes. For example, it is easier to describe how much of the earth is covered with water with the use of children’s globes. Just like maps, the globes are educative but more interactive, especially for the young learners. 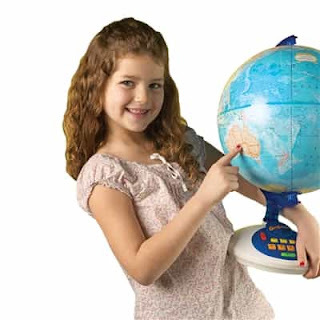 Globes are fun to study; fortunately, there are many types of children’s globes that have been enhanced with special features to make the educational experience even more interesting. Globes reveal the existence of different worlds to children at a young age. They realise there are many other places where people live outside their communities. This can stimulate an inner interest in visiting and exploring the world and the cultures in other places when they grow older. 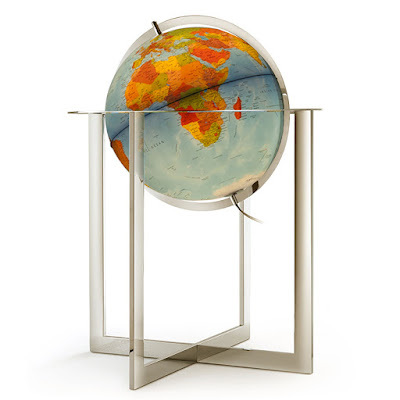 The use of globes helps children understand the basic concept of geography as a subject taught in their school. They can get a better perspective of how some parts of the world are cold (the Antarctic region), and other areas have more hills or deserts. Globes for children are made with raised reliefs to help them understand the actual nature of their world. Children can view points of interests, country boundaries, and the oceans. It is a great idea to introduce children to the earth and its amazing features at a young age. Studying the globe will surely inspire many questions but no worries; you will have the answers which are right there on the globe. These benefits and so much more can be enjoyed by children because of the super features used in the creation of globes for children. 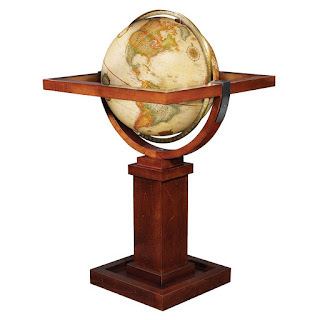 For example, on our website, you can find globes for kids such as the Pioneer Globe measures 12 inches in diameter. It is made from blue craft board and has a full swing meridian. The globe shows land features such as the United States land boundaries and over four thousand named places. 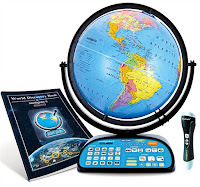 We also have the intelliglobe II deluxe which has amazing features such as a wireless intellipen(with batteries), trivia and multiple choice challenge questions, games, and fascinating compare, touch and explore features. The Scout kids globe is awesome. Its educational features include political maps, country boundaries, blue oceans, and updated points of interest. The scout kids globe also features a full swing meridian. You kids will surely be fascinated with any of these globes. Head over to our website to view our collection of children’s globes which are an accurate replica of the earth. 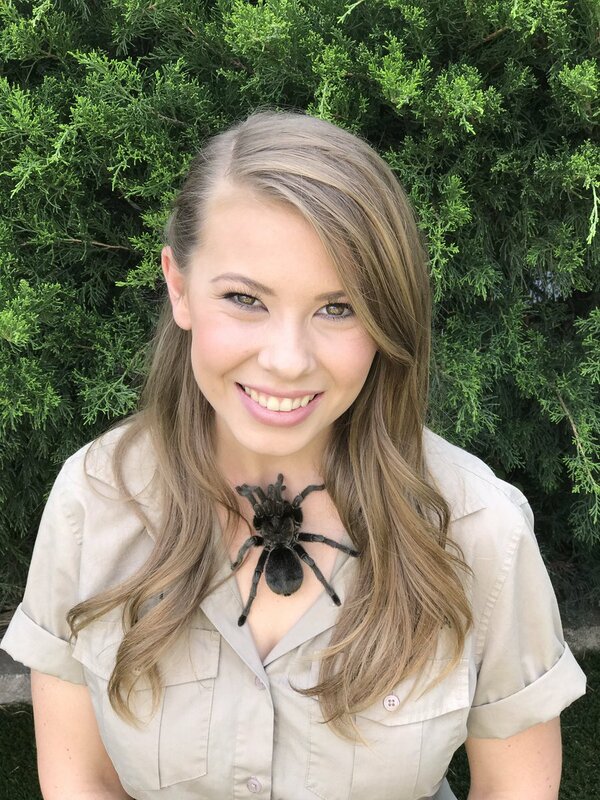 Explore the Geo Safari Globe featuring Bindi Irwin! Discover the fascinating world of geography, animals, oceans and all kinds of plants. There are over 1000 fascinating facts about various continents, countries, oceans and landmarks. 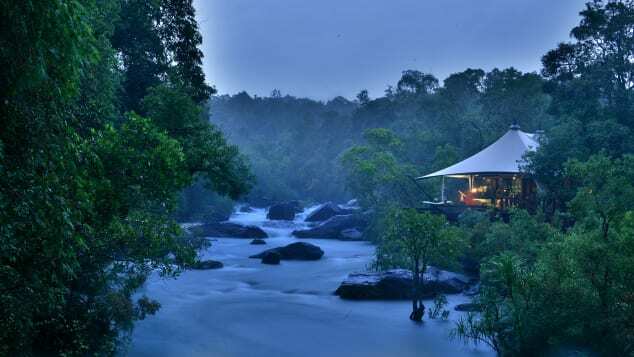 Your guide for this awesome adventure is world renowned Wildlife Warrior Bindi Irwin and your map is the Geo Safari Jr. Talking Globe II narration provided by Irwin. Bindi Sue Irwin is the only daughter of the late Steve and Terri Irwin who are wildlife conservationists and the owners of the Australia Zoo. Bindi has been a wildlife enthusiast and conservationist for many years. She is a well known television personality in Australia and the United States. Listen as her voice provides narration for a variety of fun activities. As seen below Bindi is passionate about nature and opportunities to share her knowledge and experience. Take an awesome adventure with Bindi and click on different regions of the world to learn about animals and far away places. A smart stylus allows you to touch different spots on the globe and discover new facts and places. There are three different modes of interaction to enhance the experience. Explore It, Find It, and Measure It. The unique dual-swivel design makes for easy navigation and a built in speaker makes for easy listening. Enjoy having the world at your fingertips. Reinforce social studies lessons acquired in the classroom and find practical life applications for information found in the news. Reports of local or global happenings are so much more interesting when you find the places of the map. Plan a road trip to another state and have your little adventurer calculate the distance and learn about travel times, gas etc and travel preparations. Geography and social studies are an integral part of understanding the world. There is so much information to learn and so many fascinating places to explore. A beautiful, detailed globe like the Geo Safari Talking Globe II featuring Bindi Irwin can be a catalyst for adventures. Traveling to far away place may not be a reality right now, but exposure to the wide world can begin at home. 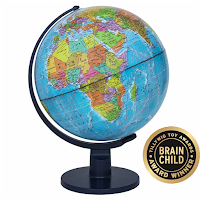 Visit www.ultimateglobes.com and check out more of our children's globes, with over 50 options to chose from you are sure to find a globe that is just right for your little adventurer. The summer has been filled with fun, but now its time that school has begun. Summer days were filled with play, school is full of lessons and rules to obey. As your little scholars head back to the classroom, make sure that they are equipped to ace their social studies classes. 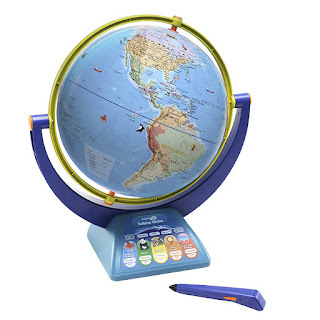 Purchase the Intelliglobe for them to start learning the capital cities and landmarks of different countries. There is so much to learn about geography, give your little ones a headstart. 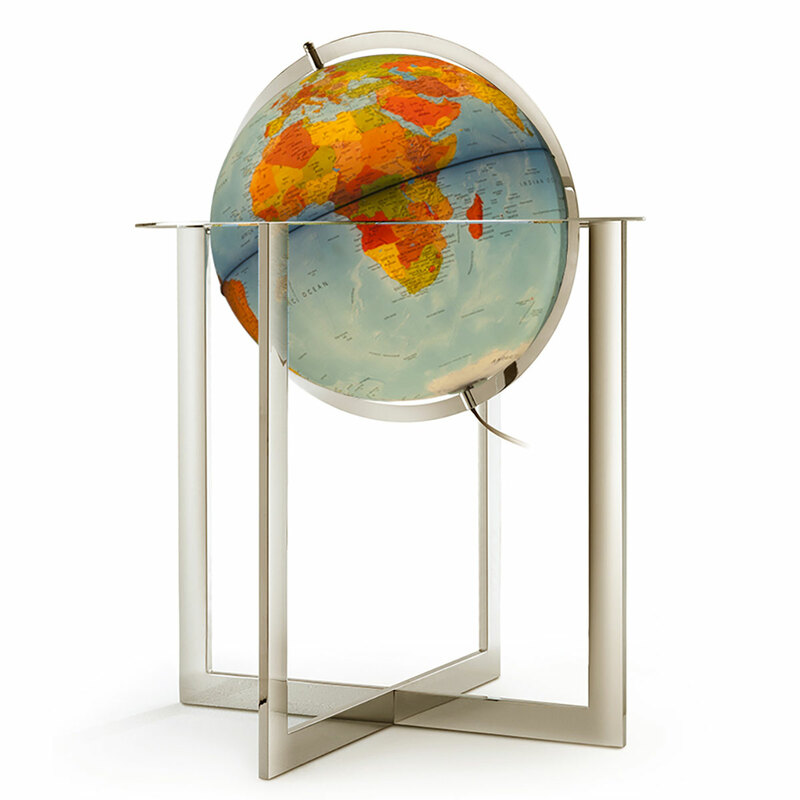 The Intelliglobe acts like a virtual tour guide, providing an interactive learning experience. Young adventurers can memorize the continents, capital cities and other landmarks by using the quiz rounds to test their knowledge. 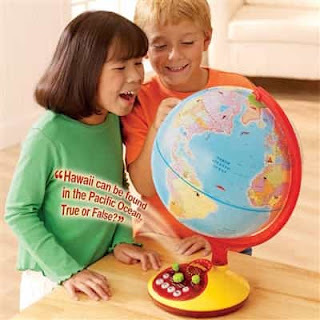 A brightly colored, talking globe is sure to keep their interests for several hours, this a great option for help with social studies homework and becoming aware of the world around them. The Intelliglobe II features the very latest in technology and innovation. A wireless pen, the Intellipen is included to "read" microscopic symbols on the globe and World Discovery Book. This wireless device is used with the Intelliglobe to play game and discovering fascinating facts about the world. Some of the categories included are Geography, Continents, Cities, Countries & Territories, States, Provinces, Population, Music, Language Spoken, History, Life Expectancy, Economics, Currency, Main Industry , Ecology, Climate, Current Time, Tourism, Animals, Food, Geology/Natural Resources. Everyone should be knowledgeable about the capital city of their state and the names of countries that border the United States of America. Where is Washington DC, what is its significance? Where are cities like Dallas, Chicago, New York, Miami, Orlando? Understanding geography and being able to identify different places helps a child understand the world around them and make sense of current events. Geography helps to develop critical thinking skills and is relevant to every aspect of our lives. 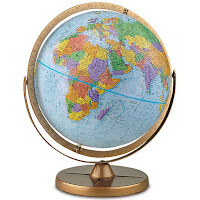 Check out our website www.ultimateglobes.com to learn more about globes and geography. Father’s Day is an annual celebration where we remember and acknowledge the contributions of fatherhood to our society. The first Father’s Day was celebrated on June 19, 1910 in Washington State, this national day of remembrance was officially recognized as a National Holiday in 1972.Father's Day is just a few days away. Just a few more hours to procure the perfect present for your paternal figure. Typical gift options include a bottle of fine spirits, a sophisticated neck tie or a classic pair of leather shoes. Why not give dad a present that he can enjoy for years to come. Perhaps he will appreciate a beautiful and classic globe. 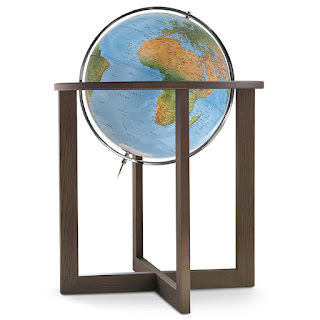 The Como Desktop Globe from Waypoint Geographic is an an excellent gift for Daddy. The vibrant, autumnal colors are sure to pique his interest. The Como Desktop Globe is a beautiful 12-inch illuminated sphere featuring detailed geopolitical boundaries. 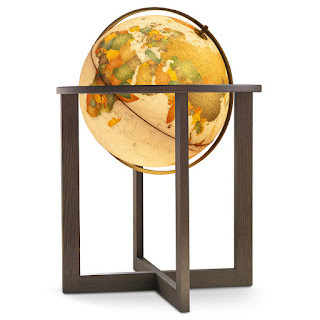 This globe is an excellent functional decor piece that can find a new home in a variety of interior settings. There are 1000s of landmarks and topographical descriptions. The internal LED enhances the cartographic features when used by night. The power source for this LED is an electrical cord which is located between the meridian and the South Pole. Unusual details include old trade routes. The bronze-finished numbered semi-meridian can be used to locate various coordinates. The degrees of longitude and latitude are clearly inscribed on indicating how many degrees north or south of the Equator a particular location is. 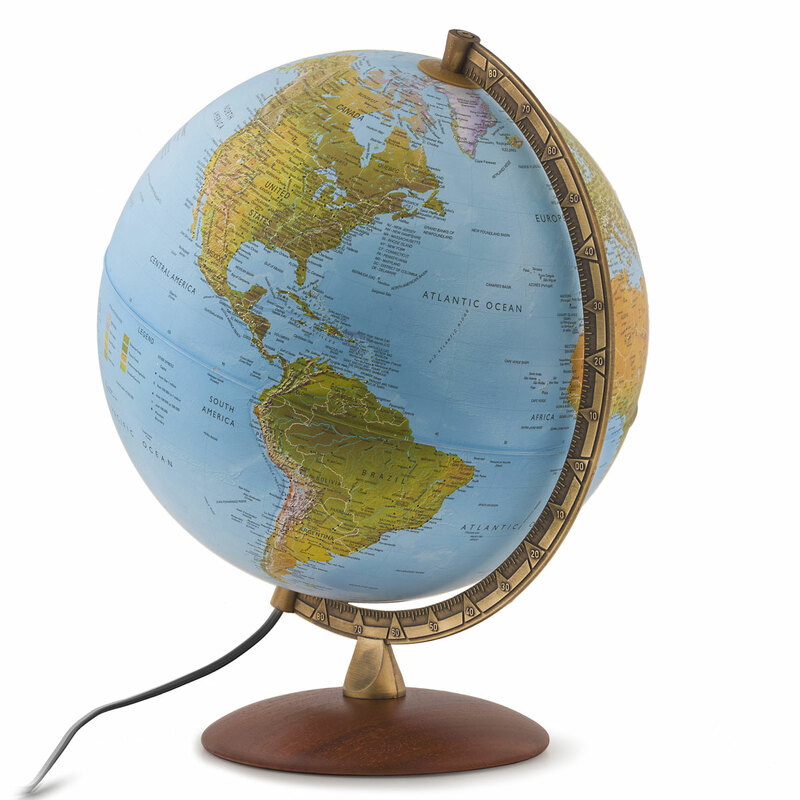 This Father's Day let Daddy know how much you appreciate him with a handsome desktop globe like the Como Desktop Globe . 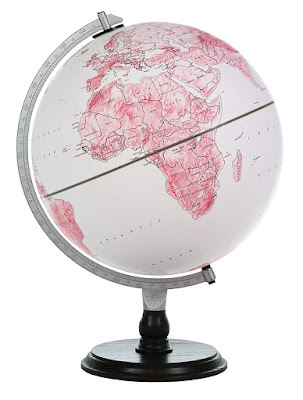 For globes, maps, atlases and other geography related products www.ultimateglobes.com is definitely the place to shop. Labels: 12-inch, 3-D, adventure, aesthetics, anthropology, antique globe, Benefits of Owning a Globe, Father's Day, globe as gifts. Another Earth Day is yet upon us and evaluating the state of affairs within our celestial home can feel somewhat dismal. Global warming is a verifiable reality. Temperatures have risen and Arctic ice floes are melting. Coral reefs and marine life are being affected by pollution. The widespread impact of globalization and westernization is not a positive one. Thanks to pollution and others forms of interference with Mother Nature’s rhythms flood patterns have changed, dams and other methods of redirecting the flow of water have altered the face of the landscape and terrain of Planet Earth. 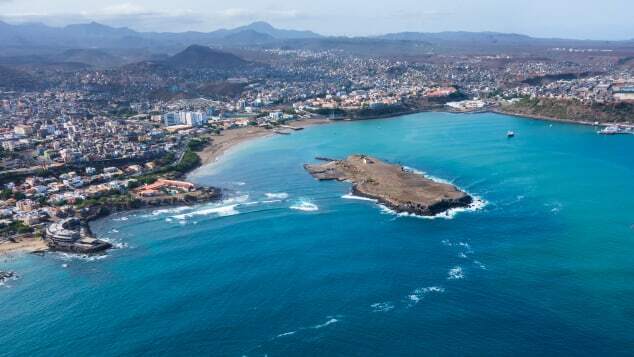 This has flattened mountains, piled hills, reclaimed land from the oceans and even acted as a catalyst for seismic activity. Despite the obstacles of living in a dynamic and ever changing world, there are reasons for optimism. The Montreal Protocol has improved stability in the protective ozone layer. Within the United States and the countries of the European Union, more stringent regulations regarding manufacturing practices and the disposal of waste has led to improvements in air quality. April 22, 2018 commemorates the 48th Anniversary of Earth Day, a global cooperative effort to demonstrate a consistent commitment to environmental preservations and conversation. Legislation and various agreements pertaining to climate changes and global warning have been passed in an attempt to improve conditions on Planet Earth and reduce the impact of pollution and other harmful influences. 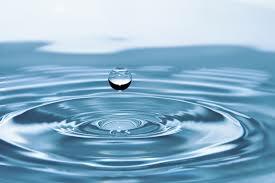 National concerns regarding the quality of air and water have turned the Environment Protection Agency into a household name. Some of the environmental challenges we face are daunting and can seem intractable, but there are some good reasons to feel reassured by the tools and expertise that the scientific community brings to the table. Within the United States America the amount of death due to natural disasters have plummeted drastically and that is largely due to better understanding and to appropriate hazards warning systems that Earth scientists have developed. Computers and instruments that used to take up whole rooms now fit snugly onto autonomous aircraft, satellites, and robots. At this moment, 1,459 satellites orbit Earth—including 19 that are part of the NASA fleet keeping a watchful eye on this dynamic, fragile planet. The authors of the EOS article note that a unified, global, high-resolution 3-D map of the human fingerprint on Earth is within reach due to the remarkable lidar instruments, aerial photogrammetry, and satellite observations that are now available. Take the time to learn about the wonderful world that surrounds us. Purchasing a globe and spending some time with a child to teach them about the environment can help them understand why protecting the Earth is important. Seeing stories about problems with air quality or pollution may seem far from home but when they look at a globe like the Lugano up close it helps them see the world in a different way. 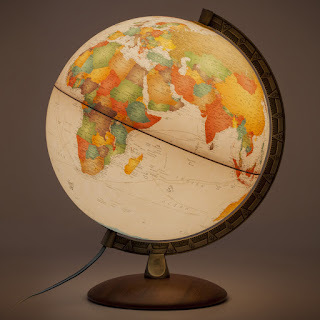 There are so many educational opportunities just from having a globe in your home. Celebrate Earth Day together, clean up a yard, plan ways to reduce waste and use of hazardous products in your own home. The study of geography is a great way to provide context for our stories as humans. Students who have a firm grasp of geography are better able to process key moments in our history, and have fewer misunderstandings when exposed to world literature. Most importantly, kids who are fluent in geography can answer the question, “Where am I in this world”. Advances in technology have provided parents and educators with innovative methods of presenting geography to tech savvy youngsters. Kids of all ages are eager for opportunities to explore their world in hands-on ways. Interactive globes are a great medium for children to access a wide variety of information, providing fun and self-directed learning experiences. The Geo Safaris are interactive globes that both educates and entertains students of all ages. The GeoSafari globe features multiple games and trivia challenges, making it an excellent option for teachers to include during rotating group activities. 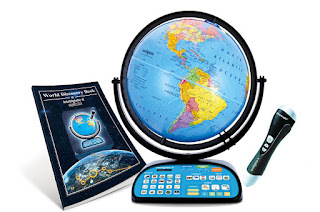 GeoSafari globes are a fun option for the home or classroom. The Talking GeoSafari globe provides a means for students to learn about continents and political boundaries. 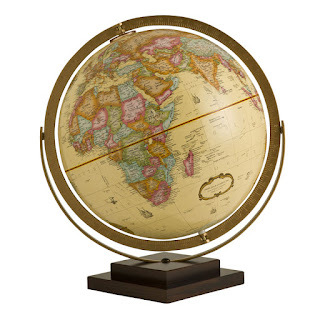 This globe features multiple quizzes that incorporate geographic as well as cultural content. 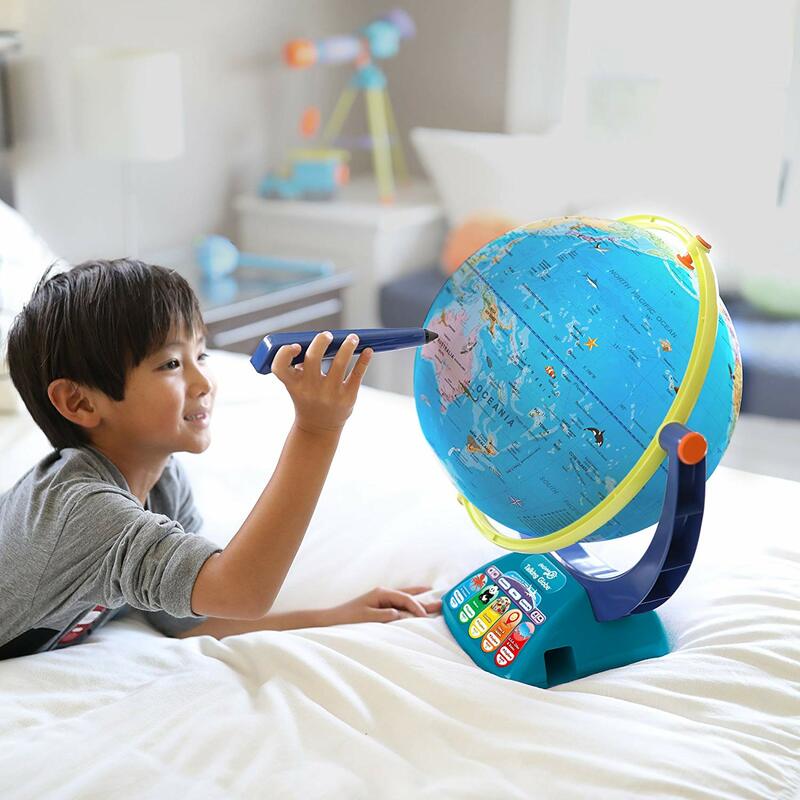 The GeoSafari Puzzle Globe is perfect for little ones to learn about continents and oceans, and make a wonderful addition to any pre-school through second grade classroom. Labels: 12-inch, 3-D, adventure, education, educational toys, fun, geography, kids, learning, resources. Geography is the study of the vast world around us. Planet Earth is a our celestial home. Medicine is the study of the body and its various systems in illness and wellness. The combined discipline of both creates what is described as medical geography. This is study is aspect of medical research that combines both the study of global health and the spread of diseases as well as the impact of climate and location on wellness. In addition to the accessibility and availability of health care services. From the time of the ancient Greece, the philosopher and Father of Modern Medicine Hippocrates made observations regarding location, climate and the impact on health. This field of study rose to prominence during the 1800s, London was gripped with a deadly outbreak of cholera. 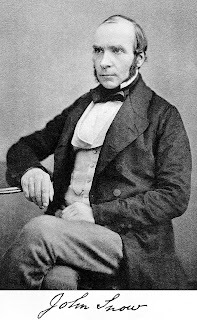 The English physician John Snow, observed a pattern in the distribution of deaths within the city. The majority of the death toll could be traced to a specific region of the city, the source of infected water was identified and municipal authorities removed access to this water source. This is one of the earliest, detailed accounts of medical geography. In recent times these techniques have been applied in various ways. The spatial distribution of disease is something that is evaluated in modern times to assess the quality of life in various cities and countries. The Center for Disease Control and Prevention in the United States serves to warn the populace about outbreaks of various pathogens and other illnesses as well as natural disasters. Geography and changes in weather have practical implications for daily life and maintaining public health. Each season has particular concerns spring rains may cause flooding in lower elevation. Carbon-monoxide poisoning may be of particular concern during the winter time, when lower temperatures require indoor heating. Summer time vacations and increases in tourism mean that vaccinations and awareness of unusual diseases and their countries of origin may be helpful. Studying geography and other disciplines of the social studies is a great way to learn about the right and needs of women around the globe. The responsibility for raising children and bringing communities together most frequently is one that falls to women. In order to have significant global impact it is important that sisters across the globe unite to improve each others welfare. An understanding of geography, anthropology and social conditions can help each woman take her place as a global citizen and take an active interest in the wellbeing of those in her local community, country and the world at large. Studying a globe and becoming familiar with the different places on the maps can make women in neighbor countries feel more like fellow citizens of the plan rather than aliens from another planet. Global consciousness is crucial for each women realizing her greatest potential. Get a globe for your little girl and talk to her about the culture and traditions of other women around the world. 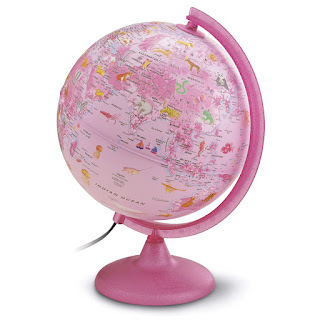 The Safari Pink Animals Explorer Globe is made specifically with girls in mind. 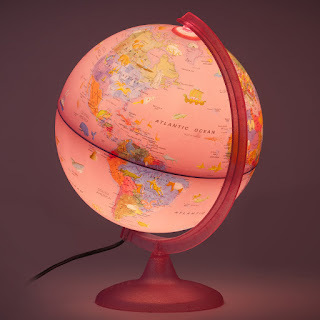 The pink colors and internal LED make this one of a kind globe a great choice for little girls to learn about the world around them. 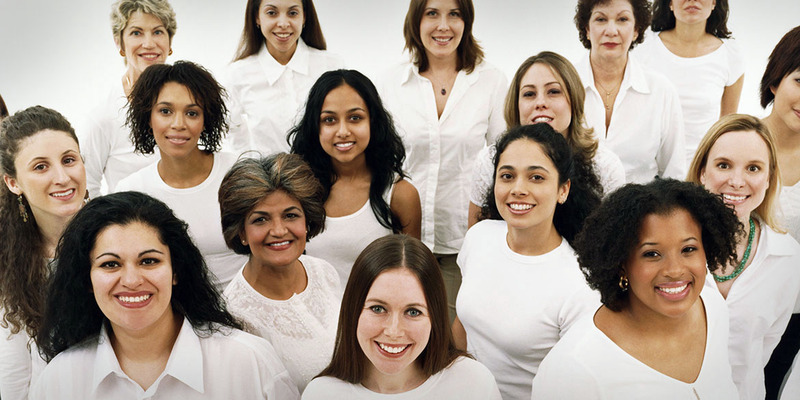 International Women's Day is a global celebration and collaboration for women around the world. This is a time to evaluate the social, political and cultural achievements of women around the globe.The theme of this year's celebration was #PressforProgress, this was a call-to-action to encourage women to seek continued personal and professional development, within their communities and the world at large. Students in various educational setting participated in special debates, events or presentations that embraced the contributions of women to society. The Planet Earth which we call home is inhabited by all kinds of fascinating flora and fauna. There are so many opportunities for exploration and development. The vast expense of our earthly home is filled with plants, animals and flowers that garner interest and attention. These life forms are crucial components of any ecosystem. Of all the life forms on this planet many are macroscopic but even more are microscopic. The bountiful sunshine and vast amounts of water make life on Earth possible, there are several planets in a solar system, however this one is the only place that can permanently sustain life. The advent of new technologies has meant that there is a diminishing interest in nature and time spent outdoors. Interaction with nature is something that now requires designated time. Untouched terrain is no longer a regular part of daily life. Vacations to distant and exotic locations, seasonal trips to beaches and parks are the means of connecting to the wild. Technological gadgets have invaded most facets of daily life. However time in nature is still a beneficial and meaningful part of the human experience. A trek through untamed trails, seeing fearless animals in their natural habitat these are some of the meaningful experiences that break up that monotony that can often comprises everyday living. The term flora is a specific reference to plant life, the term fauna, refers to animal life. The use of the term flora in this context was originally implement by Jules Thurman. The term flora was implemented by the Swedish biologist and zoologist Carolus Linnaeus. There are many different ecosystems and biomes that may be observed throughout the world. The various different life forms that may be found are dependent upon the climate, region and weather. There are three different classifications of flora, there are native flora, weed flora and horticultural flora. Native flora is that which is indigenous to a particular region, horticultural flora. Fauna are also divided into subcategories, mega fauna are macroscopic creatures, micro fauna are microscopic creature like protozoa. In fauna are animals that live in the bottom of a body of water, burying themselves in ocean sediment like plankton. Cryofauna are creatures that live in the polar regions of the world such as the tundra. Check out our globes and maps to learn more about different creatures around the world and their habitats. There are so many fascinating things to discover in this planet that we call home. At our website www.ultimateglobes.com there are many beautiful and unique globes available for purchase. The Safari Explorer Blue Animals Globe and the Safari Explorer Pink Animals Globe are wonderful options for children to gain a better understanding of the world around them. Both of these illuminated children's globes feature physical landmasses and ocean stylings respectively in blue or pink. 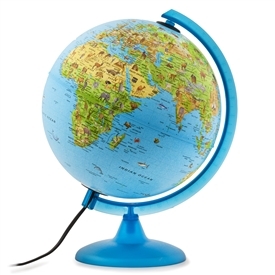 The internal LED enhances cartographic features and also provides the option to use the globe as a night light or back light. A great choice for ages three years old or older. The Chinese New Year is a fascinating holiday, between January 21 and February 20, people of Chinese descent gather to celebrate the beginning of a new year. Dragon parades and red lanterns are some of the tradition decorations seen at this time of the year. The exact date at which the Chinese New Year is celebrated changes from year to year,because it is based on the lunar calendar and not on the solar calendar unlike most methods of timekeeping. Various celebrations are held throughout the continent of Asia and not just in China. 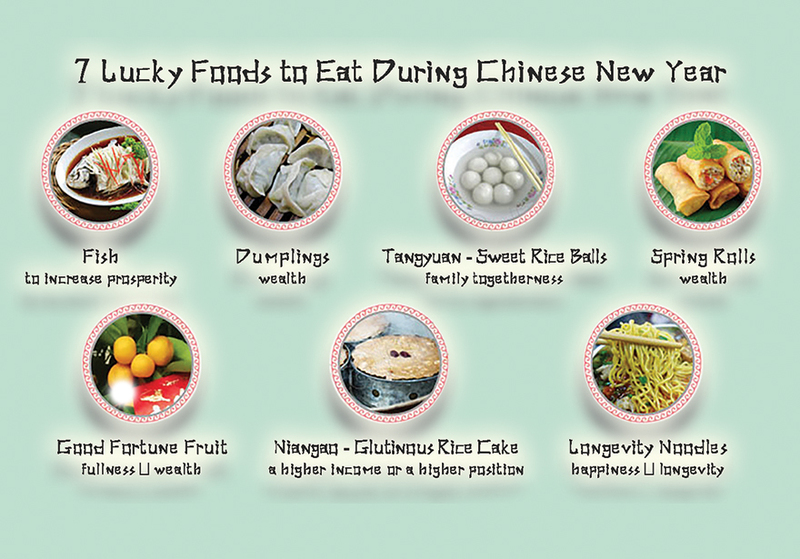 This Lunar New Year is a time to invoke positive spirits and omens for a prosperous year ahead. 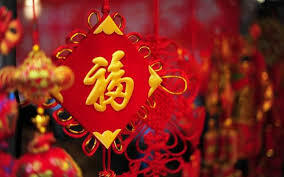 Also known as Chinese New Year or Spring Festival the New Year is the largest and most significant holiday in China. From February 16- February 18, the Year of the Rooster will give way to the Year of the Dog. These are two of the twelve animals of the Chinese zodiac. Those born in the Year of the Dog are often described as loyal, yet stubborn and selfless yet critical. 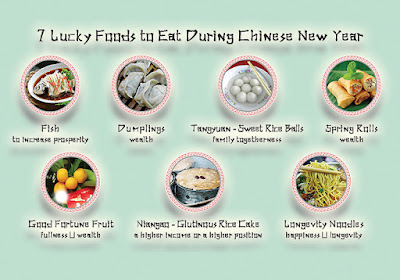 Rituals involving food and fireworks are performed to invoke prosperity and good fortune for the coming year. 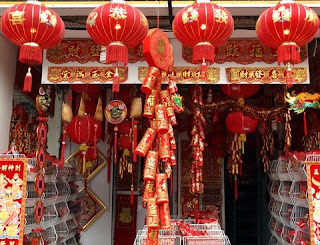 In Chinese culture, red is a color associated with happiness and celebration, on the months leading up to the Chinese New Year, the color red is everywhere in decorations. Malls, office buildings, and shopping centers are decorated in with lanterns in this vibrant hue. Red lanterns are hung from ceilings to invoke positive energy. According to legend, the animals were chosen by the Jade Emperor, who ordered all the animals to come to him and selected the first 12 to arrive as the ones for the Chinese zodiac. There are so many different fascinating traditions and customs around the world celebrating the beginning of a New Year. Learn more about different celebrations around the world by purchasing a globe or map of your own. Pick a place or particular celebration to learn more about. 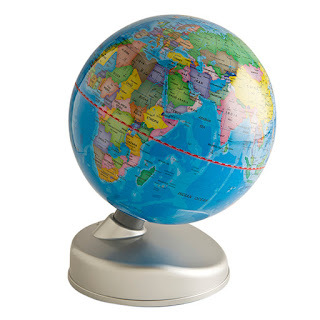 The Como Desktop Globe is a great option to learn about new places, the bright colors and descriptions make it easy to use as a reference tool. An internal LED provides the option to use it as a back drop or night light. Check out our website www.ultimateglobes.com for this and other fascinating resources to learn more about the wonderful world around us. Geography is a crucial element of many political decision and policies. The location of natural resources, territories and boundaries in addition to access to bodies of water impacts decision making on a large scale. The designation of capital cities and voting districts are geographical features that have a significant impact on politics. The terms country and nation are often used interchangeably, however not all nations are countries and not all countries are nations. A country is a political entity which is equivalent to a state. A nation refers to a collective group of people bound together by a common culture and shared geography. Some nations have a state, and other nations do not, some states have multiple nations. The majority of countries are divided into states, provinces or territories of some kind. There are however some larger countries that don't have clearly defined territories. Another significant factor in how geopolitical boundaries are determined is the distribution of natural resources. Natural resources are material located in the environment that are used to provide food, fuel, shelter and clothing to maintain a livelihood. Some of these include, water, oil, vegetation, wildlife, air and sunlight. Resources are necessary to maintain the life cycle on Planet Earth. Various regions of the globe tend to have certain resources. Low latitudes (latitudes close to the equator) receive more of the sun's energy and much precipitation, while higher latitudes (latitudes closer to the poles) receive less of the sun's energy and too little precipitation. The temperate deciduous forest biome provides a more moderate climate, along with fertile soil, timber, and abundant wildlife. The plains offer flat landscapes and fertile soil for growing crops, while steep mountains and dry deserts are more challenging. Metallic minerals are most abundant in areas with strong tectonic activity, while fossil fuels are found in rocks formed by deposition (sedimentary rocks). These are just a few of the differences in the environment that result from different natural conditions. As a result, resources are distributed unevenly across the globe. The distribution of natural resources makes a difference in terms of lifestyle and the day to day experience and life perspectives of people living in a country. The lifestyle and experiences of someone in Dubai are going to be quite different from a person living in the heart of Siberia. Climate, solar exposure, and vegetation are a few of the things that impact everyday life. 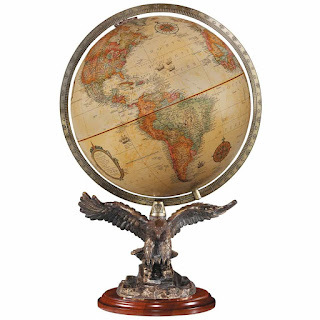 Check out our website www.ultimateglobes.com for more information about geography and getting your own globes. Climate is the observable weather patterns experienced a particular location over time. Weather changes from day to day but climate denotes and established pattern. There are several factors that impact weather conditions and climate. The angle of the sun’s rays is one thing that impacts climate significantly. In the tropics, specifically between 23.5° N and 23.5° S at least once a year the noon day sun is directly overhead and the solar rays hit at a direct angle. This is the reason why there is very little change in the temperature throughout the seasons in a tropical climate zone. In the Arctic and Antarctic (north or south of 66.5° latitude), during the year there are times when the sun is above the horizon for 24 hours a day, this phenomenon is called the "Midnight Sun" There are times in the winter when the sun never sets and times when it never rises. During the summer the sun is low and so the temperature is lower than that of the tropics. The seasonal changes are more drastic than the equatorial zones. The zones closest to the Equator experience temperate weather. Countries like the United States, most of Europe and China have the usual four seasonal changes. Climate is also impacted by wind, ocean, mountains and other topographical features. Winds carry moisture over the land. North and South of the Equator, trade winds blow northeast and south east respectively, the convergence of these winds in the tropics forces air to rise and produces weather disturbances. Approximately 30° from the Equator, there is little wind and therefore very little moisture blows this far inland from the ocean. 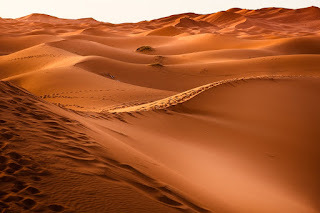 At this latitude you will find many of the world's largest deserts, portions of Mexico, the Sahara, the Kalahari and other arid regions lie among similar coordinates. Oceans moderate the temperature of coastal areas and provide moisture for rainstorms regardless of latitude. Mountainous regions because of the sheer distance tend to be dry regions. Southern Canada, Russia and large regions of Central Asia. Two more climates were defined by Köppen's list polar regions and high elevations. Examples of polar regions are the Antarctic and Arctic. 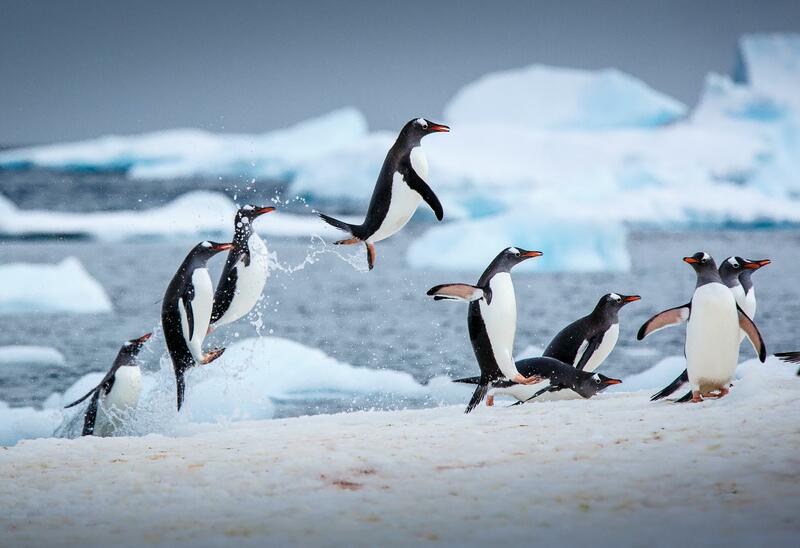 The frigid temperature of Antarctica means that there are no permanent inhabitants. Arctic regions are characterized by cold winds and winter temperatures can plunge into the negatives. The seemingly barren landscape is home to diverse varieties of flora. Weather patterns are a fascinating thing to observe. The changes in temperature and precipitation are aspects of life that impact everyone of us. Get a globe or map and learn more about the weather patterns and coordinates in which we experience our daily life. Contact us at www.ultimateglobes.com for more information. Many New Years resolutions are often based on improving oneself. It might be a push to go the gym more often, eat healthier or just a focus on improving physical health. However, many tend to overlook the importance of resolutions that improve your mental health and ones that might inspire you to really look at the world around you. The world is vast and wide, and there are incredible things out there just waiting to be discovered. Why not keep a resolution that reflects that, and pushes you to explore more and see the world? Bringing aesthetic elements such as architecture, travel, and design in your life have a way of changing your worldview, broadening your horizons and really showing you how much beauty there is in the world. Cultivating beauty can mean different things to different people. It might mean building a home around you that reflects the beauty of this world or even seeking out beautiful things in the world. For example, there is incredible architecture to be seen all over the world - how do you bring those elements to your own aesthetic and home? When you find something that speaks to you, that really overwhelms you with its majesty, how do you bring that feeling into your own life? 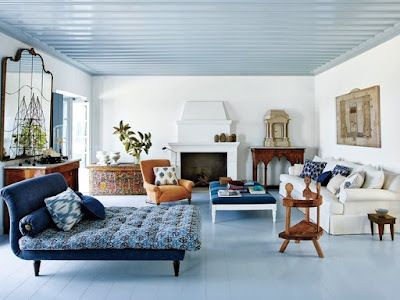 One of the best ways to really incorporate these aesthetics of design, travel, and architecture in a tangible way is to add more globes and maps to your living spaces. These can serve as a reminder to you of the resolutions you have made for yourself this year, and help you execute them as well. If you are not sure where your next travel destination should be, why not look at the map and pick from there? Or add more globes to your living spaces so that you always remember how much is left for you to explore.These resolutions are meant to serve as a guide because there is so much nuance within each one that you will always be motivated to keep them throughout the year. Bringing these elements of travel, architecture, and design will show you just how beautiful the world really is, and will make these resolutions far more special. A travel gift is a perfect pairing to these resolutions for the New Year, and the right gift can be an inspiration to continue these resolutions for the year.